Where do employees fit in your change management plan? Change Management: Resistance to Change is a Myth! I’ve been hearing lots of conversation about change. Whether it’s organizations that need to change OR departments that want to be more agile so they can respond to change OR individuals who want to create a change in their lives. Change is hard. According to global management consulting firm McKinsey & Company, over 70 percent of change management efforts fail. No surprise, this is due to several reasons: low employee engagement, lack of management support, poor collaboration, and no accountability. I believe there is a third avenue for People Analytics to add value, namely by working closely with Change Management. Change Management are, in many mature organisations, (project-wise) an integrated part of the most strategic projects but are in need of help. Tech Talent Motivators Top-Paying Skills and Experience Salary by Industry Willingness to Relocate Salary Satisfaction Reasons for Changing Employers Top Tech Metros by Salary Salary by State Tech Promotions Salary by Generation Salary by Level. CHANGE YR/YR. CHANGE YR/YR. And while a search for “change management” produced only 10,000 titles, that subject is quickly playing catch-up. Looking for a performance management system that facilitates employee growth and development? 2) Effective Management & Leadership. Written by: Scott McGrail For a change to be successfully carried out, we know that there needs to be a concise and consistent level of communication. This was highlighted in A “Quick Start Guide” to Change Communication by HRchitect’s Bill Buttimer. Technographic Segmentation is a Better Way to Plan Change. There are many excellent models for the Change Management process, and most can be boiled down to these steps: Know why a change is needed. 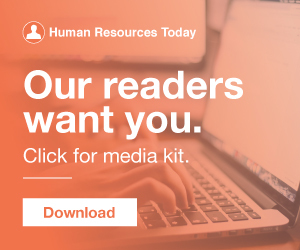 How many companies are changing the HRMS solutions each year? Change management is often overlooked as a crucial component of any corporate structure. Most managers and business leaders believe that the time to bring in a change agent is when processes are broken, communications have ground to a halt, and the company is losing business. “Upsetting the apple cart” is more than an inconvenience, it’s also an exercise in change management. Much like a sweeping change, acquisition, or merger in the workplace, the human dynamic is every bit as critical as the procedural dynamic. You need to make changes in your company, but all your senior management personnel, like you, are panicking. Invest your time and energy , and all of your employees’ time and energy into change management. Change Management Baby Steps. Change What? A simple sequence of clicks somewhere in the world can change the economic conditions of an entire industry. This is the reality of our days, where businesses have to learn to master change management if they are to grow or even survive. Engaging employees through change. Change is a routine part of life. Organizations that do not adapt to the world and the changing economic environment will die. The Challenge of Change. Even though change is a common occurrence in today’s workplace, employees almost always view it negatively. Regulatory change management is an on-going process. Regulatory updates have become more frequent in the previous decade and banks and financial institutions have stepped up their change management tools accordingly. Understanding the changes. Predict360 Regulatory Change Management. This means that when it comes to regulatory change management, the elections are consequential but not severely. Why 2020 presents a unique challenge for regulatory change management. 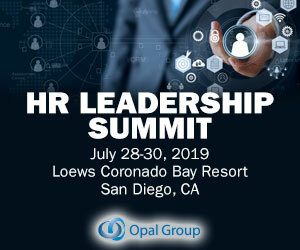 Katherine Jones, partner and director of talent research at Mercer, led a session on implementation of HR technology, pointing to research that 70 percent of change initiatives are considered a failure. A new HRIS is an excuse to change things and modernize the whole process, Jones said. Cultivating this positivity can help us manage the emotions that come along with change. Change is inevitable, but suffering with the change is self-induced. This change had a ripple effect. There is a lot of confusion in the industry about what regulatory change management models do for an organization. Everyone knows that regulatory change management is important, but how can these tools help organizations manage the changing laws and regulations that govern the industry? This usually initiates the most painful form of change management. You're the new kid on the block, new C-suite or director or someone else with some ability to make changes to policy and employee communications standards – maybe you were even hired specifically to do that. Many organizations view D&I as a series of one-off initiatives and not part of an overall change management strategy. Change Management: A Systematic Approach. A methodology should frame D&I efforts using the lens of change management. Change management is a very challenging, complex discipline. For me, change management is both art and science. There are a lot of speakers, classes, and books about change management. This requires creativity and managing emotions, that’s the art. SEE ALSO: The 5 Ingredients of Change Management. There needs to be alignment around the purpose for the change that you are starting. Consciously Managing Discomfort is a Must. The change management consultant was pleading for leader patience. I know people resist change, but they better get on board fast or we won’t […] Read more. Read More» The post Change Management: Resistance to Change is a Myth! Many leaders have the impulse to suspend surveying during times of change, due to a belief that survey results will quickly become invalid as change implementation progresses. This is a mistake; surveying is, if anything, more important during change. In the last few weeks I’ve had the pleasure of visiting Toronto and the Caribbean to speak about metrics, evidence, and leading change. Wednesday, Marcy 7th Driving Change: How HR Can Lead Effective Change Management Practices. Change, funny enough, is unchanging. “Leading change is a critical business capability,” agree 95% of business leaders and others. Yet, says Tyler Durham, “Change is usually over-managed and under-led.”. Nowadays, owing to global competition, most of the companies is forced to drive its management’s attention towards something which could have been easily avoided previously. 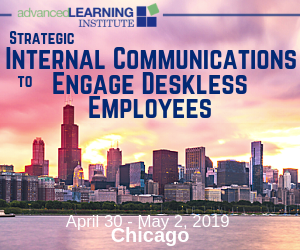 Large enterprises and their advisors were used to be focused on devising the best strategic plans, but in order to succeed they need to have an in-depth understanding of the human side of change management. What is Change Management?